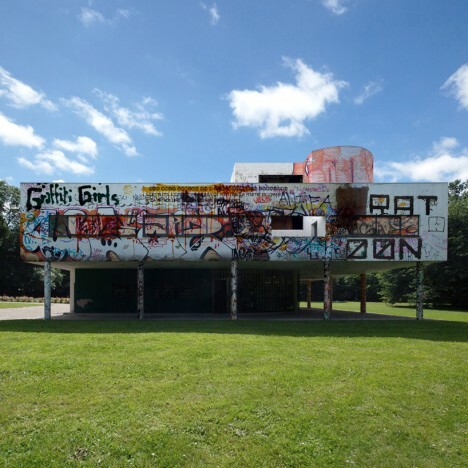 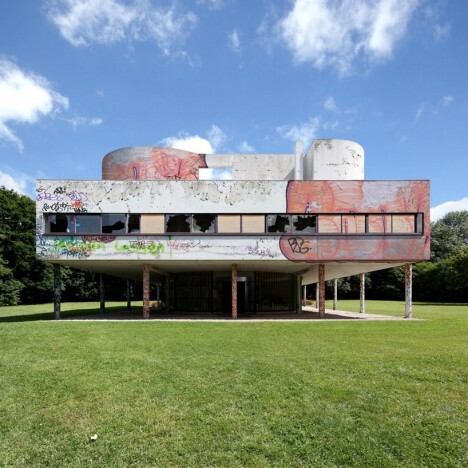 Le Corbusier’s “machine for living in” is one of the most-studied works of Modern architecture, but what would it look like if it ceased to be preserved and was left to be ransacked and ruined? 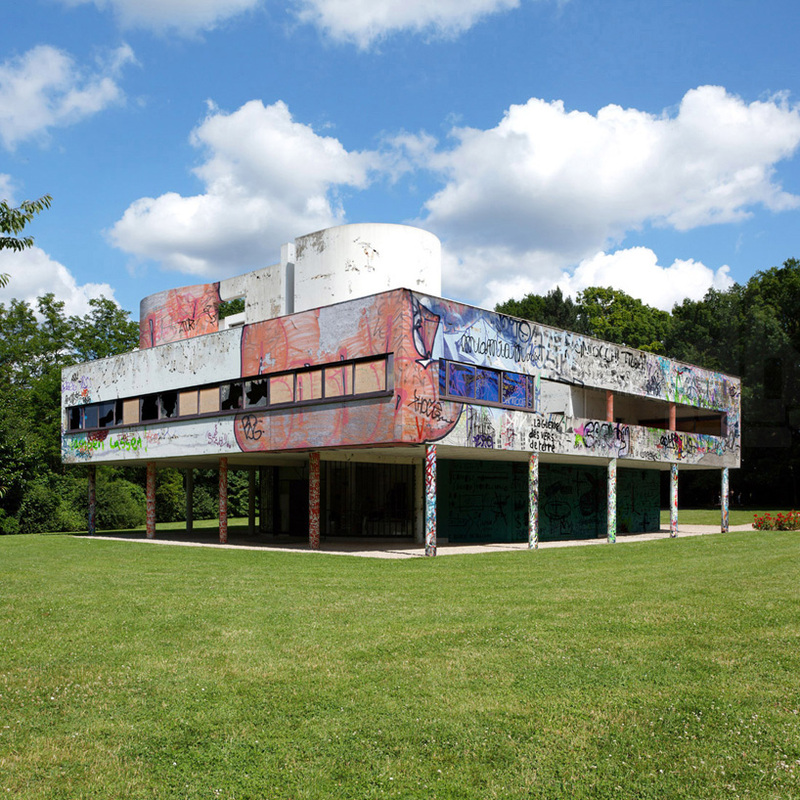 Artistic photographer (and photo-editor) Xavier Delory is exploring just this possibility, starting with the Villa Savoye but planning to branch out to other monumental and iconic works as well. 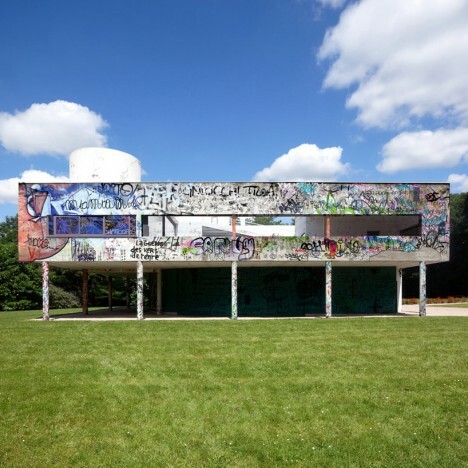 In part, he is making a point about preservation and putting architecture on a pedestal: in reality, few buildings are so carefully and lovingly maintained and restored as those few select works that make it into the history books. 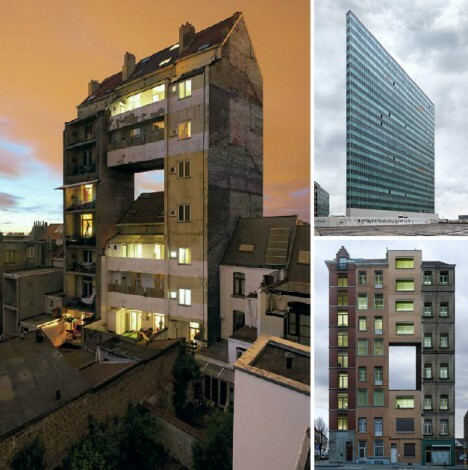 Indeed, in a way, these are almost architectural fictions that do not reflect ordinary realities of construction and use. 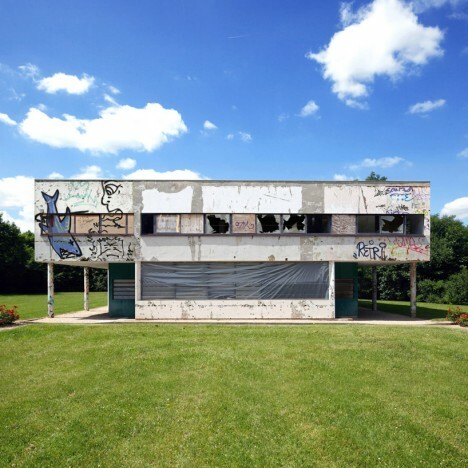 Other manipulated photo sets by Delory explore different aspects of our built environment and raise questions about contemporary cities, including a series of mixed-material structures that question our obsession with facades and the difficulty of creating variety at scale. 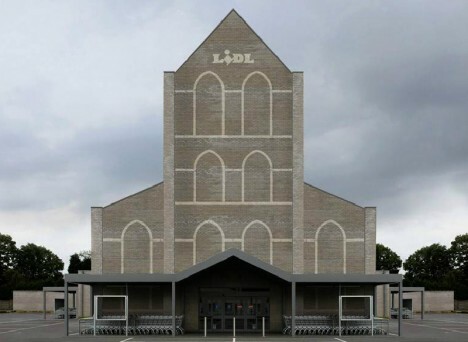 A sequence of hybrid churches-and-supermarkets examines the idolization of commercial structures (have shopping malls become our places of worship? 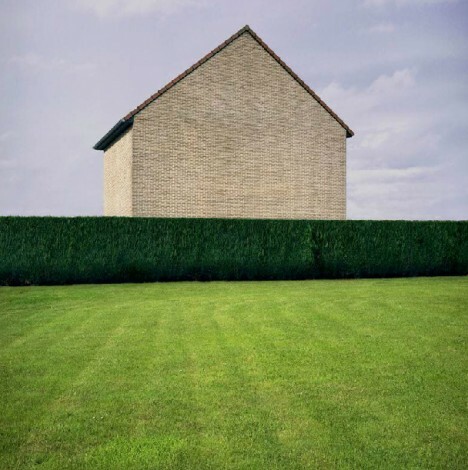 ), while a collection of rural homes sans windows and doors makes one wonder if conventional architecture does enough to integrate houses and their landscapes. 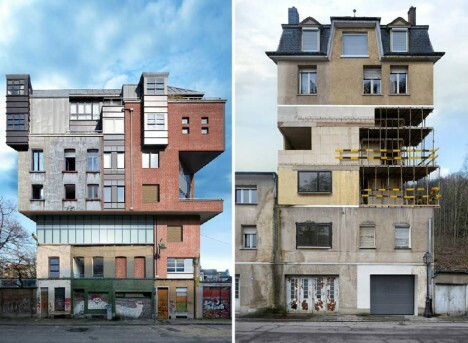 For fans of faux facades, this series of dissected buildings is also well worth a look.